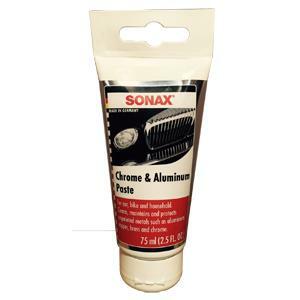 SONAX Chrome & Aluminum Paste polishes aluminum and trim metals such as copper, brass and chrome. Removes rust quickly and thoroughly. Dissolves dirt and corrosion, restoring the original shine while leaving a protective film. Safe for home use too!